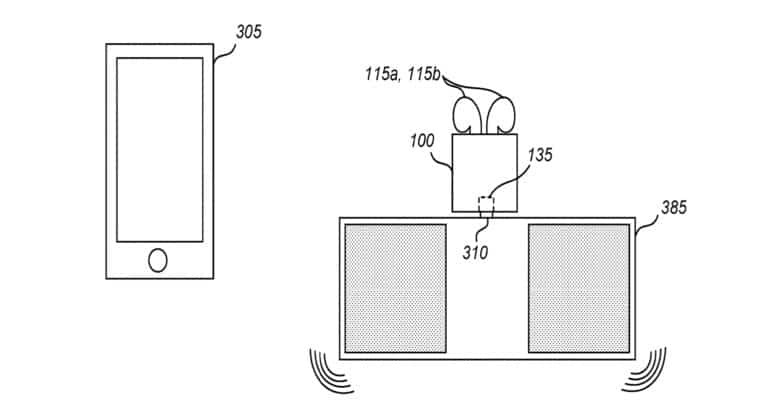 The AirPod charging case will do so much more, if a new Apple patent turns into a real product. The case for your Apple wireless earbuds is necessary to charge them, but it’s useless the rest of the time. But what if this AirPod charging case was itself a speaker? That’s the concept behind a patent Apple just received. Whether it will turn into an actual product is anyone’s guess. Companies frequently get patents for ideas they never really plan to turn into products. They are often “just in case” things. But an AirPod charging case that’s also a wireless speaker seems like it would be a popular offering. Especially as it would allow the user to continue to listen to music while the AirPods are charging. The USPTO filing shows Apple’s concept for an AirPod charging case with built-in speaker. Apple is also considering adding far more functionality to the case beyond just charging. The patent it just received today describes Bluetooth pairing the AirPods with the case (in addition to an iPhone) so music can be streamed from the charging case. The case would get its audio from a wired connection. This would be practical because AirPods can be paired with multiple device simultaneouslys. When connected to any Apple phone, tablet, or laptop, they’ll pair themselves every other device with the same Apple ID. 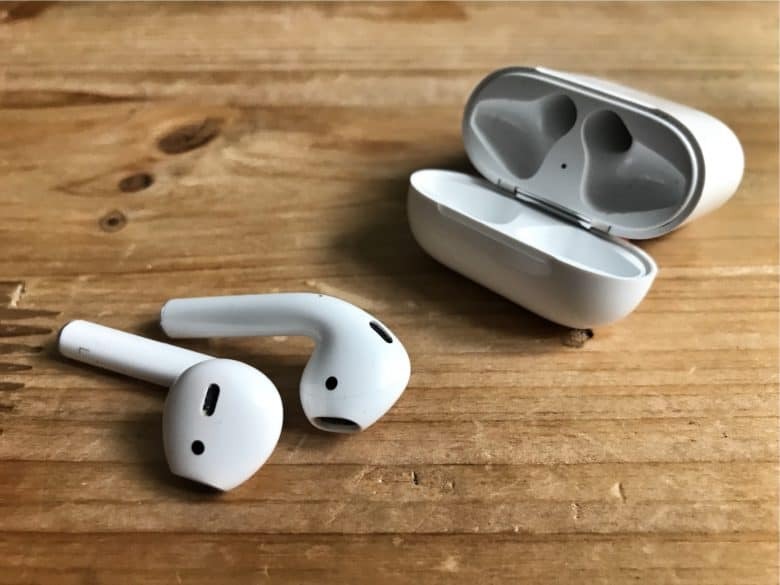 After launching the first-generation AirPod in 2016, Apple has yet to update them. That will apparently change soon, with new features supposedly on the docket, including “Hey Siri” support. Perhaps an upgraded charging case is coming too.